This is an interesting beer and it gets its name from the type of hop used to brew the beer (see description from brewer below). 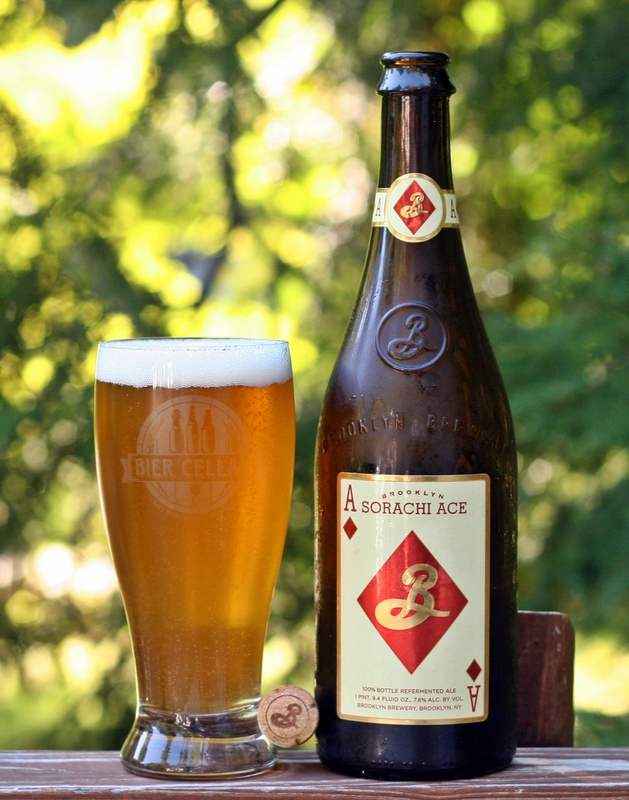 I am not sure if any of the previous 294 beers I have reviewed use the Sorachi Ace hop variety but it certainly has a unique flavor profile. Appearance is a nice gold with slight white head, nothing spectacular but a nice looking beer. Smells like a saison should with a slightly earthy, spicy and you also get some of the lemon from the hops. Very pleasant and quite aromatic. Taste has quite a bit going on with a sweet lemon taste to start, some saison funk and a solid malt background. Overall well balanced and very unique. Finish is clean and quite refreshing. Overall this is a unique and very good beer from Brooklyn Brewery, give it a try. Brewers Description: Most Brooklyn beers are made with a blend of hop varietals. As a chef does with spices, we look to get the best qualities of each hop and create a harmony of flavors and aromas. However, a few years ago, our brewmaster ran into a hop unique enough to deserve its own moment in the sun. A large Japanese brewery first developed the hop variety “Sorachi Ace” in 1988. A cross between the British “Brewer’s Gold” and the Czech “Saaz” varieties, it exhibited a quality that was unexpected – it smelled really lemony. Food Pairings: Pork buns, fish tacos, shrimp, smoked salmon, sushi, prosciutto, curries, salads, grilled meats and fresh goat cheese.